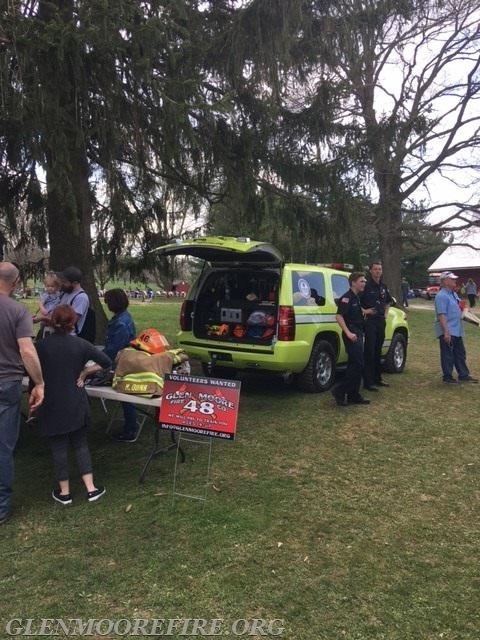 Each year, the Glen Moore Fire Company provides services to and participates in various community events. One event that the fire company participates in on a yearly basis is Sheep and Wool Day. 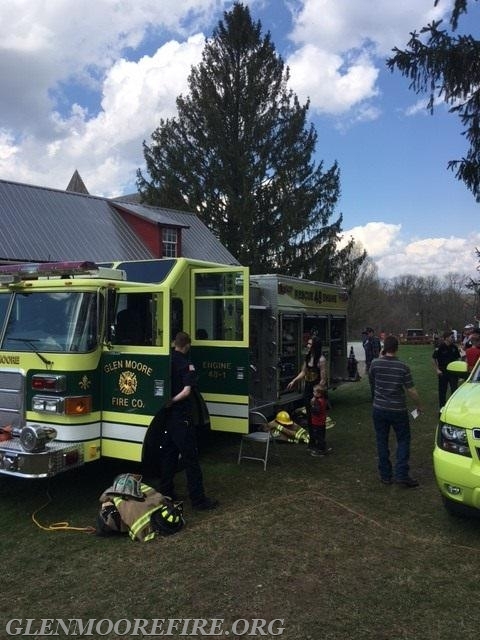 On Saturday 4/28, volunteers from the Glen Moore Fire Company attended this annual event at Springton Manor Farm in Glenmoore, PA. Springton Manor Farm is a working demonstration farm operated by Chester County Facilities & Parks. 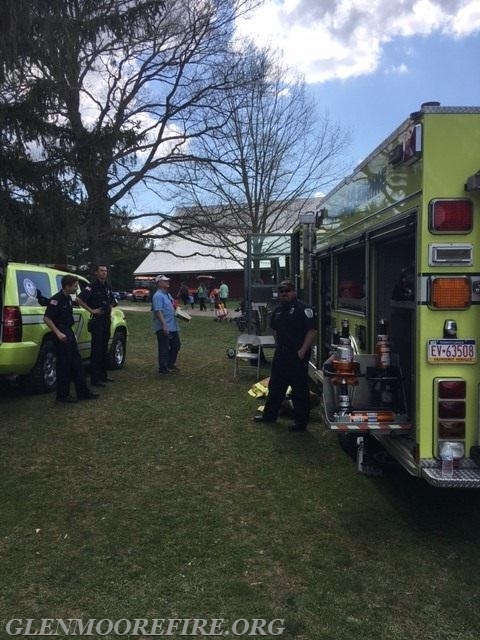 Squad 48 provided Emergency Medical Services (EMS) for the event. 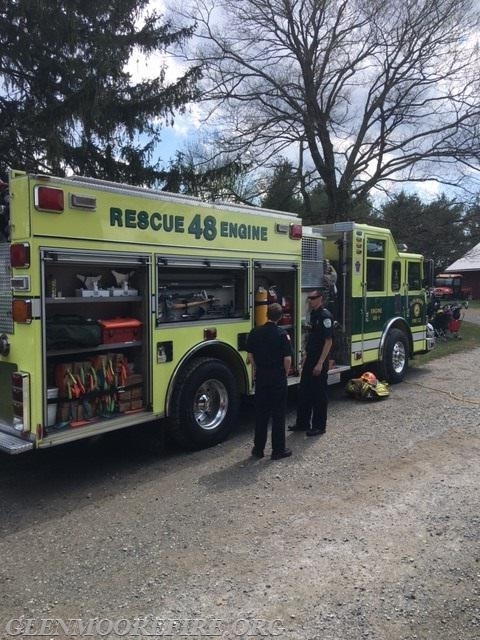 Squad 48 serves as the community’s Quick Response Service (QRS) for medical calls. A Quick Response Service (QRS) is emergency medical services provided without an ambulance. A QRS is designed to arrive on scene before an ambulance and provide initial life support. Engine 48-1 was also on display. Attendees at the event were given the opportunity to tour the fire engine, see the tools we use to protect the community, and to talk with the firefighters. Thank you to the volunteers who sacrificed their Saturday to provide EMS coverage for this event and for representing the fire company.